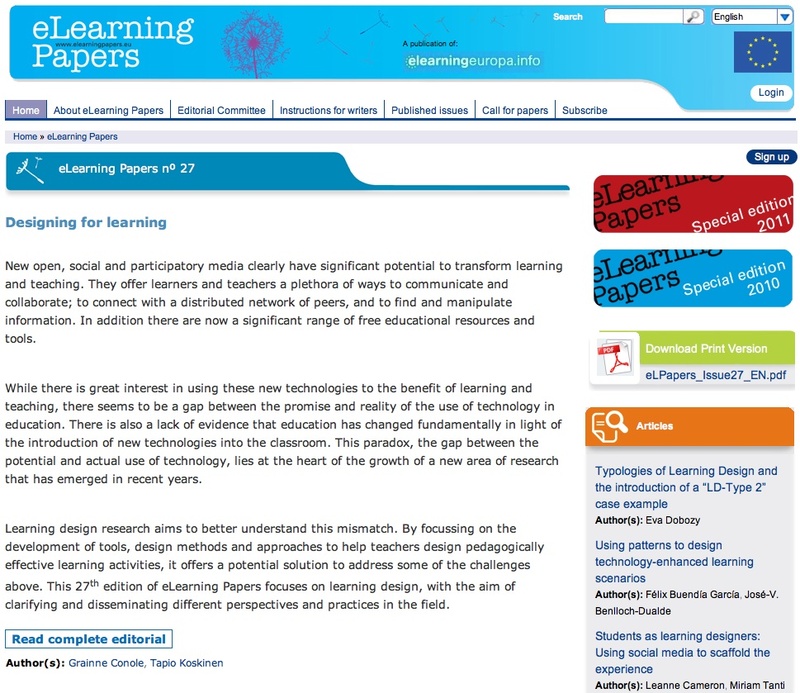 This website is a collection of articles, reviews and other material aimed to address the current situation about e-learning trends, innovation and practices throughout the EU countries. It gathers papers and articles proposed by a vast community aimed to promote the use of ICT for lifelong education in Europe. A publication of the portal elearningeuropa.info, this e-journal actively promotes the use of ICT for lifelong learning in Europe’s different communities. Each article summary is available in 19 European languages. Topics cover innovation, trends, problems about a wide array of e-learning projects and activities throughout the EU. The editorial board is also in charge of accepting and peer-reviewing the proposed papers, covering such issues as Communities of Practice, Inclusive Learning, local projects and many more. Each papers’ issue, published five times a year, can be freely downloaded in pdf format. While articles and summaries are quickly displayed on-screen, these entire issues are freely provided in pdf format, along with the past issues for the current year. Under a simple and effective design, this website has a high user accessibility: each page has a printer-friendly version and can be emailed to friend and many useful Web 2.0 tools are available. Also provided is a powerful keyword-based search facility.